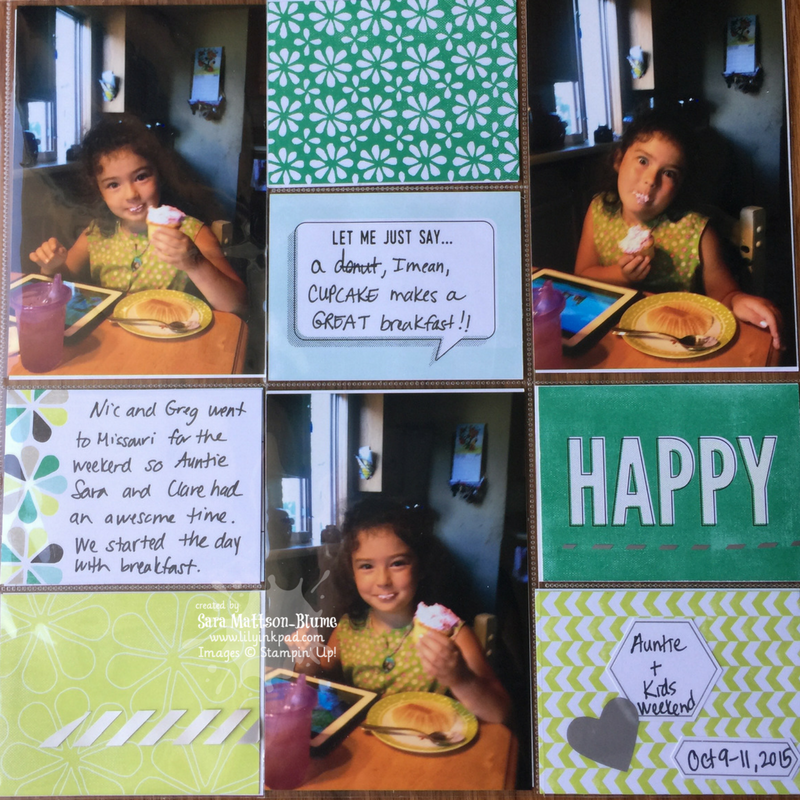 Today, I am showing you another set of pages I created using the Memories and More products. This was a weekend two years ago I spent with my niece and nephews. I love the use of Emerald Green in this card pack. The Lemon Lime Twist is a fun accent color that matches Clare's dress. I added some washi tape for accents. 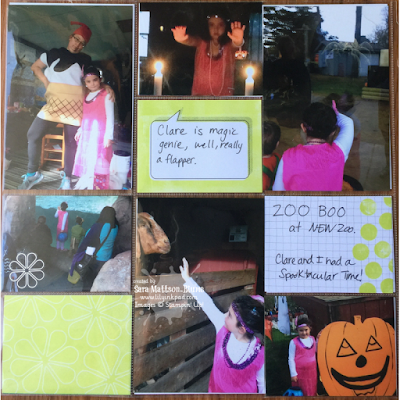 Clare and I went to the NEW ZOO's event, BOO ZOO. It was fun to wander the zoo with her and watch her kindness with other little kids. One little guy was in his stroller as a bee and she walked right up to him to make him smile. How she knew how much his family appreciated it, is a mystery. She was a flapper, but her imagination also made her a gypsy. Such fun as a kindergartner! 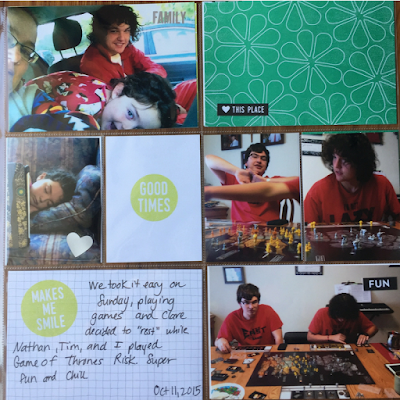 On Sunday, we had an early am with Tim and then played games in the afternoon. After a while, we wore Clare out! We had a great time and my pictures show it. 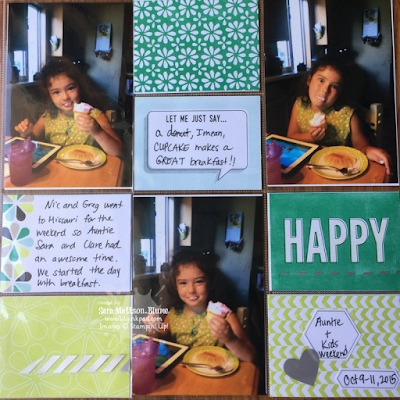 The Perfect Days Cardpack was, well, Perfect for these pages!